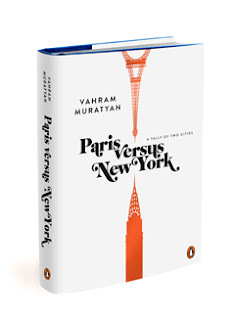 Living as a New Yorker in Paris constantly brings comparisons - "Oh, that place is like Balthazar, but the real deal!" 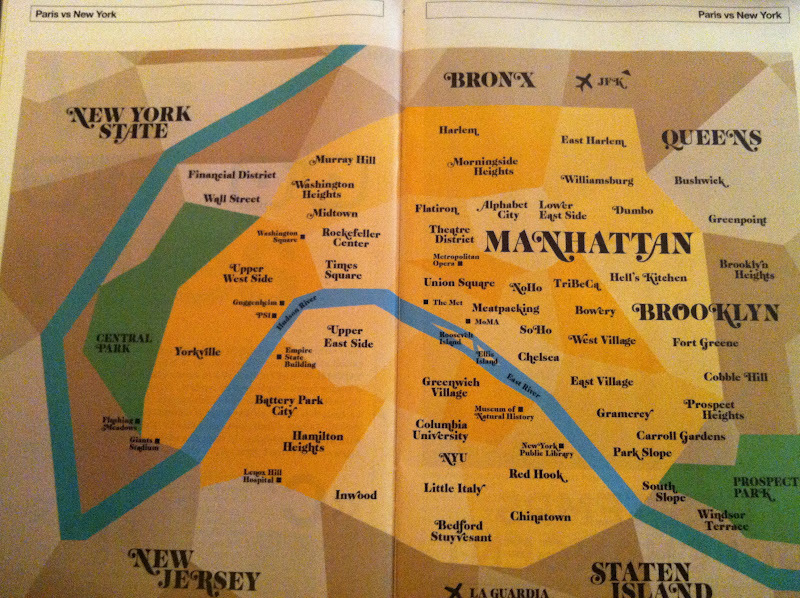 "Living in the 16th, yeah, the Upper West Side of Paris." "Oh, don't spend time on the Champs-Elysées - it's like being in Times Square with all those tourists!" "Well, how to describe the 19th and 20th? Kind of like Brooklyn." Etc. 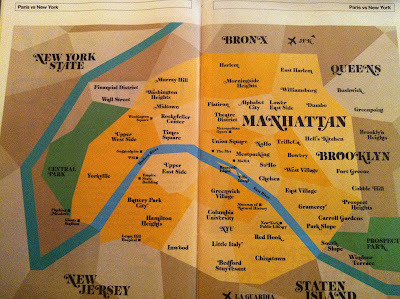 Now it's official; a charming and funny map has been drawn placing New York locations onto a Paris map, and vice versa. From what I've learned about Paris in the months I've been here, it's pretty on the mark! It might be hard to examine closely in this post, but it's worth finding on the internet for a better view. Check out the book by Vahram Muratyan and his blog, http://parisvsnyc.blogspot.fr/. It's clear to me that he loves both cities, loves to compare and contrast...and so do I!